Unscented and gentle enough for daily use. Leaves your hair clean without dryness or oily buildup. Healthy hair growth starts with a healthy scalp. Daily Shampoo for men contains natural ingredients such as Vitamin E and Panthenol, which moisturize and soften your scalp. 12 oz. The Daily Shampoo is formulated with Alpha and Beta Hydroxy Acids which dissolve organic and environmental build up that makes hair look limp and devitalized. It’s also free of fragrances and dyes that debilitate hair. 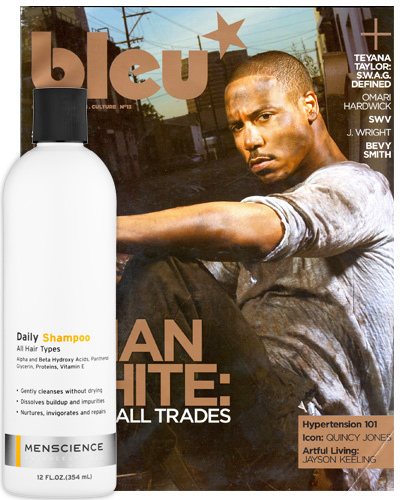 Shower daily with the Body Wash and the Buff Body Gloves. The Daily Body Wash removes impurities and debris without stripping skin’s natural conditioners while the Buff Body Gloves provide gentle exfoliation to help to get rid of dull buildup. Next, use the Daily Shampoo to gently cleanse the hair without stripping while revitalizing and protecting follicles and scalp. Finally, style shampooed hair with Hair Styling Pomade, ideal for a wide variety of styles. This pomade, with a clean matte finish, provides strong structure, control and hold without stiffness or residue. Do I need to use a conditioner with the Daily Shampoo? Is Daily Shampoo appropriate for all hair types? Can I use the Daily Shampoo more than once a day? Does the product promote hair growth? Because our Daily Shampoo contains conditioning ingredients like Glycerin, Panthenol, Wheat Proteins and Vitamin E, it's not necessary to follow it with a separate conditioner. Daily Shampoo has been formulated for everyday use and contains gentle cleansing agents which clean and soften without stripping away your hair's natural conditioners. It is appropriate for all hair types and for daily use. Because the Daily Shampoo contains gentle cleansers and hydrating ingredients, it can be used 1-2 times a day without overdrying hair follicles or the scalp. Daily Shampoo’s nurturing and top-quality ingredients help support healthy hair growth and strengthen debilitated and damaged hair. Many products provide doubtful claims about hair re-growth; we try to stay away from such claims and instead focus on proven ingredients in professional-grade concentrations to make your hair look its best. Well I been having trouble with my acne scalp. I try many shampoos but none of them well help me with my acne scalp. Since I decide to used daily shampoo wow I saw a big result! It help me with this embarrassing thing in my head. Thank you menscience! Great shampoo and keeps my hair looking great every day. Well worth the price! For the longest time I had trouble getting rid of my scalp breakouts that would occur after workouts and perspiring. 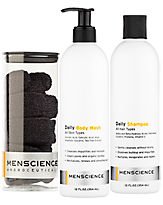 While searching the internet for a cure I came across MenScience Daily Shampoo. I decided to give it a try and WOW what a difference it has made! My breakouts have subsided and the occasional ones I have are cleared up in half the time as before. Thank you MenScience for restoring my confidence and getting rid of my embarrassing breakouts. For the longest time I had trouble getting rid of my scalp breakouts that would occur after workouts and perspiring. 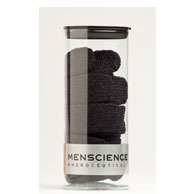 While searching the internet for a cure I came across Menscience Daily Shampoo. I decided to give it a try and "Wow" what a difference it has made. My breakouts have subsided and the occasional ones I have are cleared up in half the time as before. Thank you Mensience for restoring my confidence and getting rid of my embarrassing breakouts. I was looking for a good cleansing shampoo and this shampoo is just that. Absolutely perfect! My hair is shiny and seems healthier than ever! 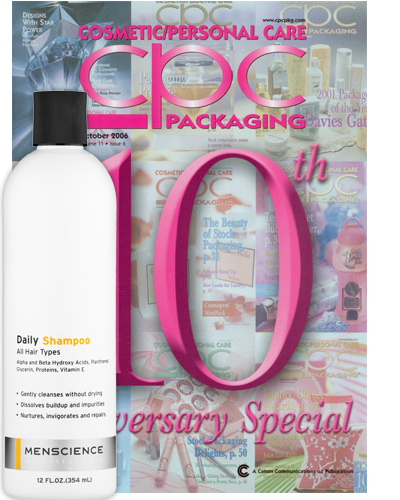 Daily Shampoo is a quality product! A great cleansing shampoo that doesn't over dry. I wash my hair at least twice a day & have experienced no over drying or brittle hair at all. Very good results! All products I have tried from menscience I have loved...except this shampoo. I have a little issue with getting break outs on my scalp a lot and this shampoo came recommended to help remedy it because they are due to build up. This shampoo only made the breakouts worse. The only pro to this shampoo for me was that it removed the hair product from my hair very well. This shampoo is different then regular shampoos. It feels better and smell's better then shampoos I have tried. 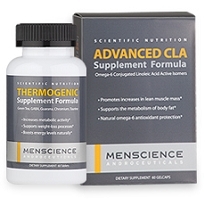 When you use this product, you really can tell it is working in ways that only menscience can provide! Thank you! Product is clean and doesn't have that perfumey smell ! It leaves your hair shiny and full . I would definetly buy again . I highly recommend this shampoo. First off this shampoo does not have a fragrance, which I like because I noticed shampoos with fragrance give me dandruff and makes my scalp itch. 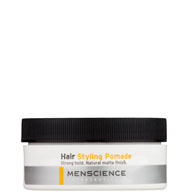 The Menscience Shampoo makes my scalp feel awesome and helps my hair look healthy. I highly recommend this product! My girlfriend is very picky of all the shampoo I used before, ether it's too smelly, too dry, or too oily. She didn't complained about this shampoo because it's nothing like the other shampoos I used before. Totally recommend this product not just to avoid complaints but it does the job my girl wants it to do. This shampoo is very good, the fact that is has little to no scent is great, leaves your hair feeling very clean. But if you use the pomade or other products that can beat up your hair, coupled with the hot summer months that can get a little sticky I found it best to use a conditioner a couple days a week. Great product though. I've used a lot of different shampoos for my sensitive scalp before this, sadly, 98% of them are not good for my scalp/hair. In despair, I tried Menscience shampoo without having high hope, but, to my surprise, after using it for few times, it's really GOOD! If I'm to list out the Top 3 shampoo that I cannot live without now, this is definitely one of it! To Menscience team, please keep this original formula the way it is now for as long as possible, I've used some other shampoos before, in the beginning, they are good, but after a period of time, the manufacturers alter the original formula & then labeled it "Improved Formula", but the truth is the newer version is actually worse than the original version, causing me to stop using those shampoos eventually, so I really hope this won't happen with the Menscience Daily Shampoo. Clean, soft, and not dried out. Ya this stuff is good, it doesnt dry out your hair. I have been using this shampoo for the last year or so and it works perfectly. It lathers and cleans your hair and doesnt leave any buildup behind. Highly recommend! I tend to use a good amount of product in my hair daily, and this shampoo does a very good job of cleansing my hair of that product every morning, without stripping it of moisture and leaving it smooth. It isn't the best shampoo I've used, but it's up there. This product just follows in the footsteps of all the other great menscience products...unscented, uncomplicated and ucompromisingly clean! I first got this shampoo as a sample with an exfoliant I ordered. After about 4 washes my hair felt softer, like any build-up of products had been gently stripped. I have short hair so when it's stripped of all products like a clarifying shampoo will do, it won't lay down right (think spiky or frizzy). With this shampoo it feels clean (actually squeaky clean) and does what I want it to. I ordered a full bottle and am about 1/3 thru it. I'm happy with it. Make sure your rinse very thoroughly. Shampoo is great, very neutral smell - almost none. Hair never dries out and never seems to need conditioner with it. Lathers nice, a little goes a long way. I also use it as a body wash as it's fragrance free and cleans with no creamy residue because it washes off easily. Super easy to have one product in the shower! Not a fan of their body wash - Took me awhile to figure it out but it kinda smelled like Pine-Sol (floor cleaner)The body wash, that is. Eventually couldn't take it! Plus - it seems my skin doesn't react well to anything with salicylic acid. I use it daily and am very pleased with the results. It's super concentrated so the bottle last a long time. I have normal to oily hair, but I rarely have to rinse and repeat--usually one application works fine. No need for separate conditioner, but once every two weeks, I use a different shampoo and also a conditioner to "nourish" my hair. If you want a quick and easy shampoo, you can't go wrong with this one. This is a great 2-in-1 shampoo that leaves my hair squeaky clean. Great for everyday for most hair types specially the oily type. It cleans any product residue as well and makes the morning routine more streamlined! I previously was using garnier fructis shampoo and conditioner for normal hair. Garnier was okay, but not great. I decided to give MenScience a shot because they tend to make really good stuff. I've never used a shampoo product that works so well. It's something I look forward to in the shower! Works great. Best shampoo I've ever used. I have dry wavy hair and I don't need to use a conditioner with this. Good shampoo for daily use. Need to use dandruff shampoo less frequently. Natural vitamin which helps increase luster and elasticity, repair damage and increase hair thickness. Helps dissolve oily residue and dull buildup from skin and pores leading to finer skin texture and a cleaner appearance. Natural conditioner and moisturizer for skin and hair. Forms a thin film on hair follicles to help strengthen them and maintain a natural moisture balance, preventing roughness and brittle texture. Humectant with impressive capability to continually absorb water from the environment and bind it to the skin. Increases the skin’s softness, suppleness and elasticity. Its lubricating properties make it superior to foaming ingredients for shaving preparations. Ingredients: Acqua purificata (purified water), Ammonium lauryl sulfate (and) Lauramide DEA (and) Ammonium laureth sulfate (and) Lauryl polyglucose, Propylene glycol (and) Diazolidinyl urea (and) Methylparaben (and) Propylparaben, Panthenol, Sodium chloride, Salicylic acid, Glycerin, Glycolic acid, Potassium hydroxide, Triticum vulgare (wheat) hydrolyzed protein, Tocopheryl acetate.